1. Sugar consumption causes an insulin response. When we dive into that pumpkin pie or fudge at the dessert table, our body produces insulin to balance out our blood sugar. Increased insulin production leads to inflammation throughout the body and can make conditions like acne, rosacea, psoriasis, eczema, etc., worse. 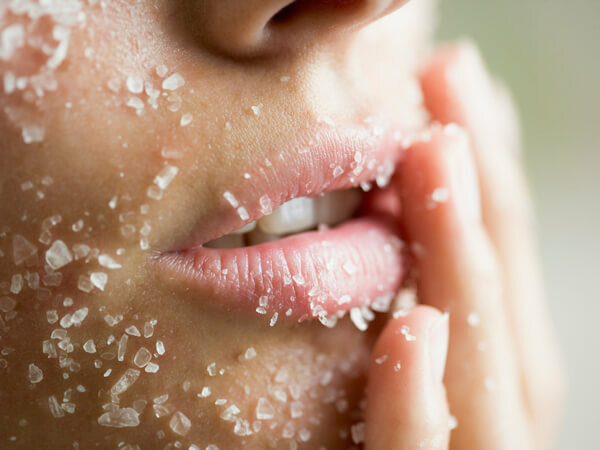 Consistent heavy sugar consumption can also lead to insulin resistance, which can manifest in the form of facial hair growth and pigmentation issues. 2. Sugars lead to premature aging. Inflammation produces enzymes that break down the collagen and elastin in your skin, as digested sugar attaches to them. After the age of 25, your body is no longer producing collagen on its own, and as a result, increased sugar consumption can lead to the worsening of fine lines and wrinkles and decrease in skin laxity. Hydration is extremely important for achieving and maintaining healthy skin. As the largest organ in your body, the skin does a lot of heavy lifting when it comes to detoxification. Sugar consumption negatively affects your hydration levels. Not only does dehydration limit your ability to flush out toxins, but also leaves you looking puffy and can make dark circles under the eyes appear darker. Heavy sugar consumption limits your ability to fight infection as your white blood cell count decreases. This gives bad bacteria just the type of environment that it needs to thrive, especially as the body struggles to maintain a healthy hormonal balance due to factors like inflammation, dehydration, and imbalances in gut bacteria. Active inflammation can also cause breakouts to appear much more red and painful. Less aggressive than chemical peels or laser resurfacing, NIR can rejuvenate skin and lessen the appearance of wrinkles, sagging, or crepey skin without downtime. This technology uses infrared light energy to penetrate the deeper levels of the skin to stimulate collagen production and can be used on most skin types and areas of the body. A noninvasive therapy that uses LED technology in combination with a lightweight, nutrient dense infusion to penetrate deep below the surface of the skin, increasing collagen production and cellular turnover. Pure Vanity offers a variety of infusions including: collagen, peptide, retinol, brightening, and blemish control, making the treatment customizable to your specific needs and goals! Our expert spa team provides individualized care based on your concerns and skin goals. At Pure Vanity, we offer three types of facials: Microdermabrasion, Dermaplaning, and an Acne Deep Cleansing Facial. Your esthetician will not only customize your treatments to your specific needs, but will also prescribe a home care regimen comprised of our medical grade skin care products to maximize and maintain your results. As with anything, consistency is key, so regular visits are essential to achieving and maintaining healthy, beautiful skin.